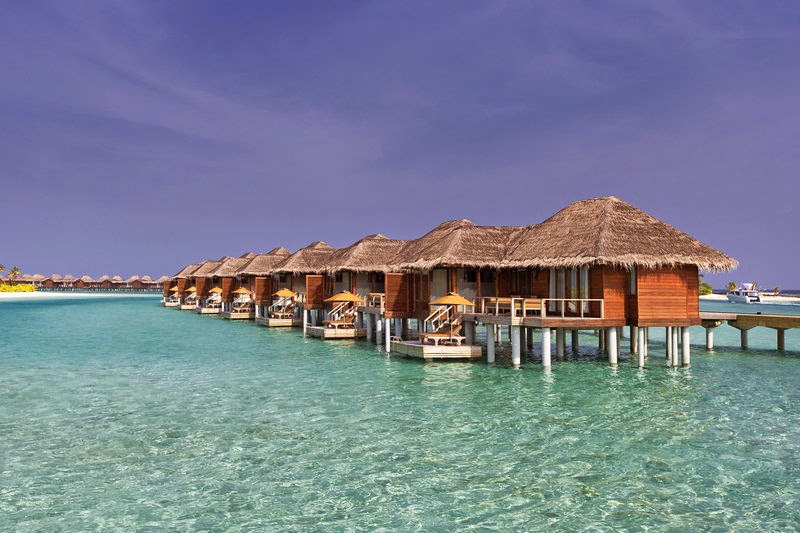 Imagine spending the festive season this year in the world famous paradise of the Maldives. Picture yourself relaxing where the water is 29 degrees all year round, in a private sanctuary with or without a private pool, a step away from silky sands or perched directly above the azure Indian Ocean. Welcome to Anantara and Naladhu in the Maldives, where a festive escape in the sun and dreams of a white sand celebration are paired with memories for a lifetime across our resorts in Baa Atoll and South Malé Atoll. A wide array of accommodation choices are complimented by the perfect festive experience at Anantara Kihavah Villas, Anantara Dhigu, Anantara Veli and Naladhu Maldives. Enjoy a Christmas Eve buffet dinner, serenaded by Atoll Angels Choir in Kihavah as well as Anantara Dhigu and Veli, where renowned African-American jazz and blues singer Coco York will also entertain guests with her resounding voice and captivating stage presence. Create a Christmas snapshot that tells an unforgettable tale of Indian Ocean adventure with an “Underwater Photo Shoot”. Dive or snorkel into crystal clear waters and experience a thematically surreal world beneath the shimmering surface, where tropical fish swim around Anantara’s eco-friendly underwater Christmas trees made from coral. Unable to resist the fun and events, Santa Claus will also be making unusual entrances the delight guests young and old with presents and good cheer. At Ananatara Kihavah, spoil yourselves with a connoisseur experience of dazzling ocean marine life without ever entering the water. Descend to Kihavah’s exclusive and signature underwater restaurant and wine cellar, Sea, for a gourmet dining experience like no other as kaleidoscopic sea creatures glide gracefully beyond the glass, in full view of the underwater coral Christmas tree. Ushering in a new dawn and a new year full of adventures, in welcoming 2015 Anantara Kihavah will be bringing the Spice and Silk Routes to the island with dishes and decorations inspired by traders over the decades to a backdrop of modern Bollywood entertainment and midnight fireworks. At our cluster of three resorts in South Malé Atoll, just 35 minutes by speedboat from Malé, at Anantara Veli the adults-only guests enjoy a “Simply White” themed night of sparkling elegance and entertainment, releasing lanterns into the sky at midnight. At Anantara Dhigu families, friends and couples can choose their favourite character from The Jungle Book and enjoy the “Bare Necessities of Life” to colourful decorations and delectable treats, counting down to fireworks as the clock strikes 12. Across the lagoon at Naladhu Maldives, Captain’s Table is the theme for a night of reverie and revelry under a star studded sky that will be illuminated with a firework display of unimaginable colours. Spend the festive season in paradise and choose your dream experience at your choice of Anantara resorts and Naladhu Maldives. Experience an island paradise of chic simplicity in a charming tropical setting replete with soft white sand and azure waters at Anantara Veli Resort & Spa. Relax with your loved one, or friends in the over water bungalows as a spectacular selection of sea life swims beneath you. Dive into an array of water sports in the tranquil surrounds of the island resort’s crystal clear lagoon. Unwind at the Anantara Garden Spa with a range of treatments to soothe body and mind.